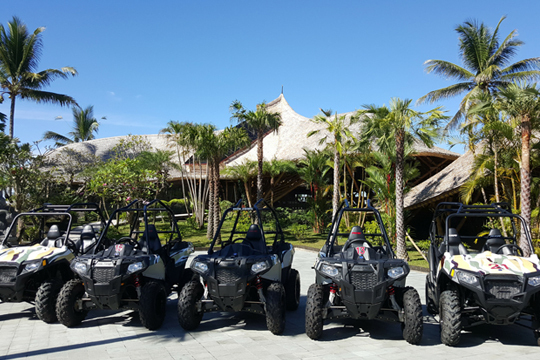 Utilizing high-end buggies made by Polaris, the acknowledged leader in off-road innovation, this new adventure gives guests a truly exhilarating jungle driving experience. 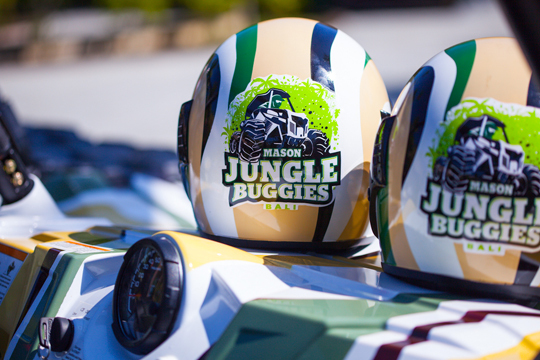 Mason Jungle Buggies operate from the village of Tatag, just 10 minutes north of Ubud, near the world-renowned Elephant Safari Park in Taro. The jungle track has been designed by the company’s founder, Nigel Mason, and brings a whole new dimension to the island’s adventure repertoire. 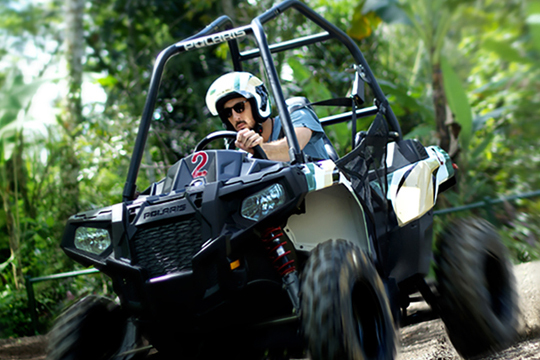 As Nigel suggests: “Think of it as go-karting meets the jungle.” The single-seater ACE model, equipped with a 325cc engine, and the two-seater RZR model, with its 570cc engine, are the weapons of choice and both feature certified roll cages, three point seatbelts and safety nets to help ensure safety during the thrilling jungle drive. The jungle circuit is 4.5km round the dirt and gravel track and guests have the option of continuing with more laps if they choose to do so. Safety has always been a top priority with Bali Adventure Tours and the experience is designed to be both thrilling and safe. A safety video outlining all the necessary precautions and procedures involved with handling the buggies is compulsory. Helmets with visors are issued before guests choose their vehicle and, after a brief warm-up session, head off on to the jungle track following in the wake of a pace-setter.